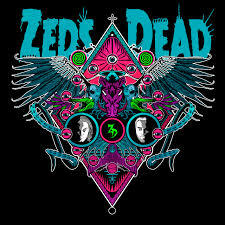 Riding high of the back of their critically acclaimed and universally received Hot Sauce Hot Sauce EP [Mad Decent] back in January, forward thinking Canadian electronic producer duo Zeds Dead now prepare to step things up yet another gear as they take to the BBC RADIO 1 airwaves this Friday night (March 1) for the globally celebrated Essential Mix! Presented by dance music stalwart and international tastemaker, Pete Tong, you’ll be able to catch Zeds Dead on the airwaves and online as they take over the legendary BBC Radio 1 Essential Mix for the first time ever! Tune in here at 01:00 GMT (Saturday) / 20:00 EST (Friday) / 17:00 PST (Friday) for the freshest and heaviest underground soundscapes, as Zach and Dylan take over the most coveted mix-show on the planet. If you miss it, don’t worry – you’ll be able to stream the whole thing for up to 7 days following through the BBC Radio 1 website.